The main difference between primary and secondary polycythemia is that the spontaneous proliferation of red blood cells in bone marrow results in primary polycythemia whereas physiologic changes of the body, increasing the demand for oxygen result in secondary polycythemia. Furthermore, somatic mutations in hematopoietic stem cells or erythroid progenitor cells can cause primary polycythemia while living in high altitude and certain types of heart diseases, lung diseases, severe obesity, or defective oxygen transport can cause secondary polycythemia. Primary and secondary polycythemia are two types of absolute polycythemic disorders, which cause over-production of red blood cells. Primary polycythemia is a type of absolute polycythemia which arises due to the factors intrinsic to red cell precursor cells including hematopoietic stem cells or erythroid progenitor cells. Also, the excess amounts of white blood cells and platelets are produced during primary polycythemia. Therefore, it rarely leads to leukaemia. Significantly, this disorder is idiopathic or arises spontaneously. However, somatic mutations in the JAK2 gene is the reason for 95% of cases. 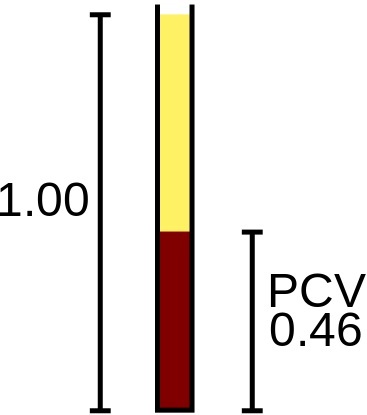 Polycythemia vera (PCV), polycythemia rubra vera (PRV), and erythremia are the three possible pathophysiological conditions arisen by primary polycythemia. Furthermore, the elevated hematocrit is the assay mark of this disorder. A hematocrit which is around 55% to 83% can be observed. Here, headaches and vertigo can be the symptoms. However, the abnormally enlarged spleen and liver can be identified through a physical examination. Some affected individuals may have high blood pressure and the formation of blood clots. Secondary polycythemia is another type of absolute polycythemia caused by natural or artificial factors which promote red blood cell production. The over-production of red blood cells occurs through the increased production of erythropoietin, a hormone which increases the production of red cells. Erythropoietin is secreted from kidney in response to chronic hypoxia, low blood oxygen levels. Moreover, high demand for oxygen can be due to several reasons including living at high altitudes, severe obesity, and defective oxygen transport. Also, some disease conditions including heart disease and lung disease result in chronic hypoxia. On the other hand, erythropoietin levels can be increased by certain disease conditions of the kidney and with the secretion of erythropoietin-like substances. Primary and secondary polycythemia are two types of disease conditions of absolute polycythemia. Both result in the over-production of red blood cells. 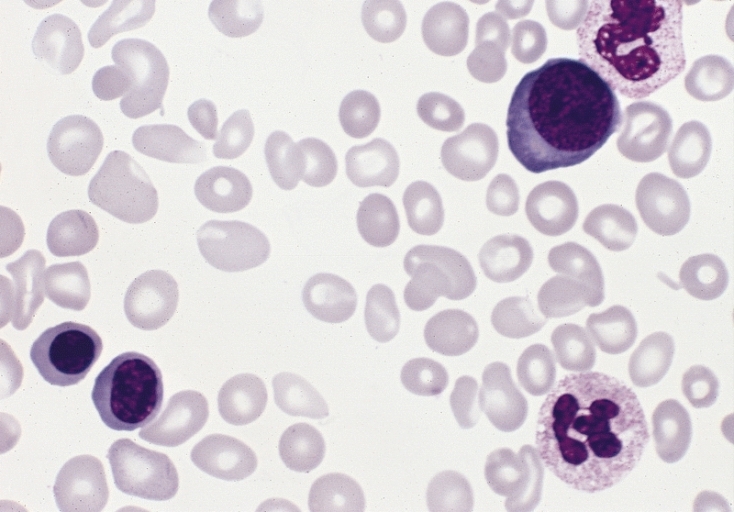 Therefore, clinical presentations of both types of polycythemia are more similar. Accordingly, the common symptoms can include weakness, headache, fatigue, shortness of breath, visual disturbances, pain in the chest and legs. Generally, polycythemia is a disorder with elevated levels of red blood cells. The two types of polycythemia are the relative and absolute polycythemia. Besides, dehydration results in relative polycythemia while the over-production of red blood cells results in absolute polycythemia. Primary polycythemia refers to a condition of the bone marrow, which makes too many red blood cells and platelets while secondary polycythemia refers to a condition caused by enhanced stimulation of red blood cell production by the increasing demand of oxygen. Thus, this is the fundamental difference between primary and secondary polycythemia. Furthermore, the main difference between primary and secondary polycythemia is that spontaneous proliferation of red blood cells in bone marrow results in primary polycythemia while physiologic changes of the body result in secondary polycythemia. 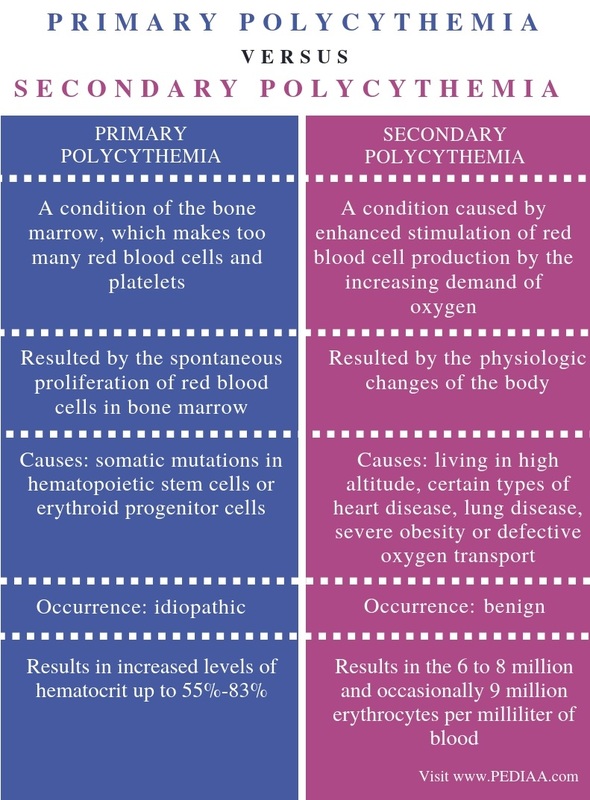 Somatic mutations in hematopoietic stem cells or erythroid progenitor cells can cause primary polycythemia while living in high altitude, certain types of heart diseases, lung diseases, severe obesity or defective oxygen transport can cause secondary polycythemia. Hence, this is another difference between primary and secondary polycythemia. Another difference between primary and secondary polycythemia is that primary polycythemia is idiopathic while secondary polycythemia is benign. Moreover, primary polycythemia results in increased levels of hematocrit up to 55%-83% while secondary polycythemia results in the 6 to 8 million and occasionally 9 million erythrocytes per millilitre of blood. So, this is another difference between primary and secondary polycythemia. Primary polycythemia is a condition with elevated red blood cells due to the spontaneous proliferation of red blood cells in bone marrow. Mutations in precursor cells result in primary polycythemia. In contrast, secondary polycythemia is another condition with elevated red blood cells in response to the increased oxygen demand in the body. Living in high altitude and some disease conditions cause secondary polycythemia. Therefore, the main difference between primary and secondary polycythemia is the causes and effects of each type of absolute polycythemia.